We have recently sold some Almatec pumps to a customer with a chemical application. 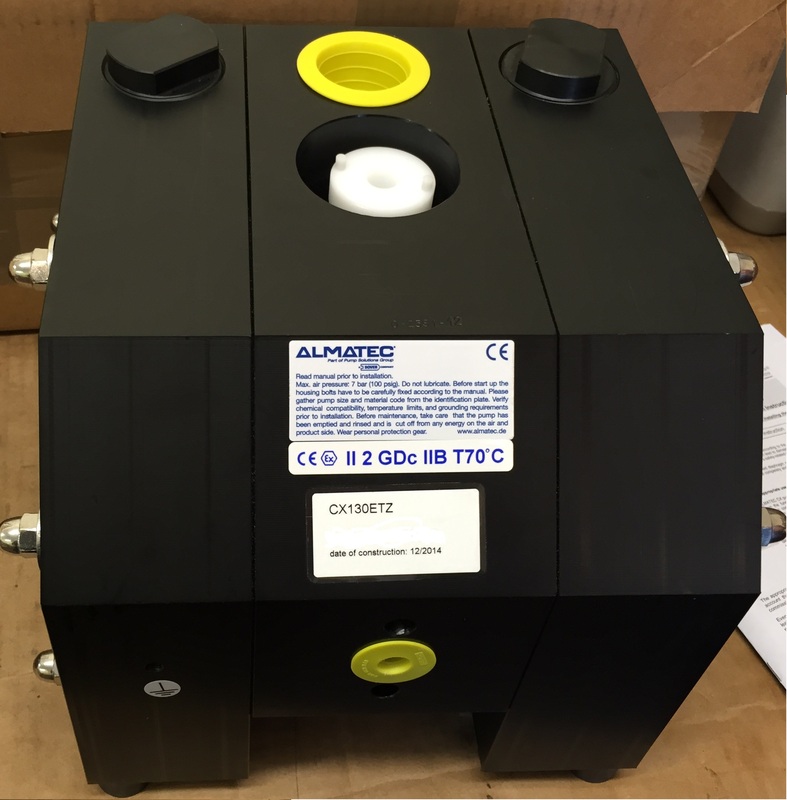 These Almatec pumps from the CX series are ATEX approved in Conductive PE with PTFE diaphragms and seals. These Almatec pumps are air operated and self priming with a maximum flow rate cabability of 133 LPM and solid handling of 4mm maximum. 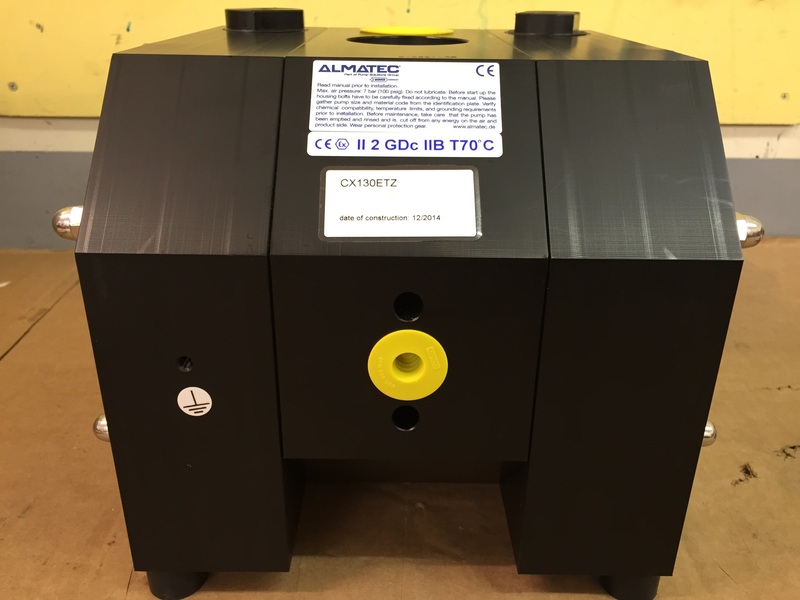 With ball valves, Almatec pumps have a dry suction lift of 2.5 metres. The pumps shown have cylinder valves, so the dry suction lift is 4 metres. Do you have an application suited to an Almatec pump?